Our aim is to help professionals and businesses like you thrive and grow by providing the support, benefits and opportunities to fulfil your potential. 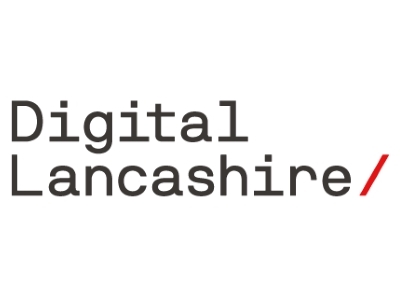 By joining Digital Lancashire you’re joining fellow professionals to give our sector and the county a bigger voice and help create, deliver and provide more valuable resources – talent, buildings, infrastructure, training and more – to work with for your benefit. The ambition of Digital Lancashire is huge. For too long our many great digital businesses, our superb universities and the brilliant people in them have been hidden away. Not only do we want to shine a light on them regionally, nationally and internationally, we want to help them be the best they can and at the same time show them that Lancashire is a great place to work and live. Digital Lancashire can assist your growth through its series of educational events on how to use digital in your business, programs such as no cost one day consulting to review your digital transformation requirements whilst also acting as your voice on issues such as broadband capabilities, the skills gap, finance/investment and collaboration office space. Signing up as a member is FREE and your only commitment is to work with us to put Lancashire on the map as a region to build and develop a digital business but also for non digital businesses to take charge and become thought leaders across the UK. Make sure you have a digital strategy as part of the plan – think about how you will use digital in your business today and in the future. consider how technology could disrupt or enhance what you do – what will the growth of 3d printing, driverless cars, wearable technology, big data and the internet of things mean for your business and your marketing. If you’re not sure, we can help you keep pace with ever-changing technology. Lancashire has the transport, skills infrastructure and people to compete with anywhere else in the country. We have some phenomenal digital businesses on our doorstep, which can offer Lancashire’s businesses a real commercial advantage. Boost is an ideal partner for Digital Lancashire. We want the same things – we want to see the county’s businesses grow, innovate and embrace digital technologies. By working together to provide opportunities and highlight the great success stories in Lancashire we can achieve incredible things.